It has been many years since I have wandered amongst the tulips of Floriade. Many years. So being someone who likes to observe events and how people react – I decided that it was time to visit Floriade 2017. 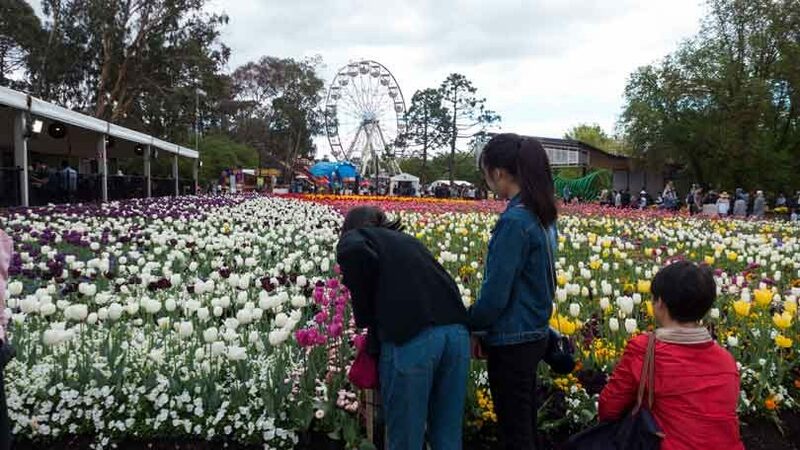 School holidays were over – and so it should have been fairly quiet on the last Saturday before Floriade wound up for 2017. Alas – as I approached, I realised that something was not normal. It was Dog’s Day Out at Floriade. This meant that the place was full of hundreds of locals and their dogs – as well as the occasional tourist who like me, were probably wondering what this was all about. But first – the flowers. The layout is based on the professional design work of a group of local landscape architects. I have seen images in the past of some of their work and it was good stuff – award-winning work. But on the day, the reality was something else. Yes, there were many beautiful flowerbeds with many tulips – and other flowers – in all manner of colours and arrangements. But the only way to really appreciate the design work would have been to go up on the Ferris Wheel. I looked at the queue, but decided otherwise. So while Floriade’s flowers were bright and inviting – the actual design layouts were not fully appreciated easily. In fact given that on this particular day so many people seemed very intent on parading their dogs – most peoples’ attention was not on the flowerbeds. Yes, the occasional person did stop to look closer at particular flowers – but very few of these were dog handlers. I was left wondering just how much the dog owners appreciated the professional designs behind the flowerbeds. I am sure that the organisers will be happy that so many people showed up on this special Dog’s Day Out. On one level, by simply counting numbers, it was a total success, but I question its success as a celebration of tulips in their specially designed beds. 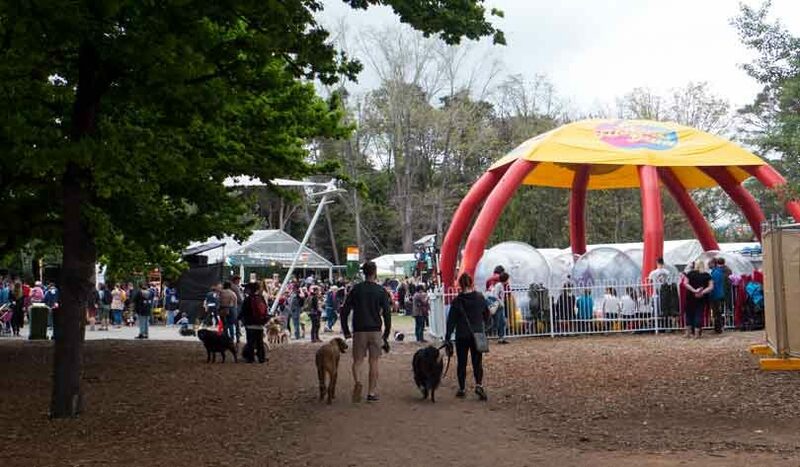 For families, I am sure that Floriade provides parents with the opportunity to have children entertained by the many add-ons – and plenty of opportunities to spend money on things demanded by their children. There was also generous provision for food and drink. 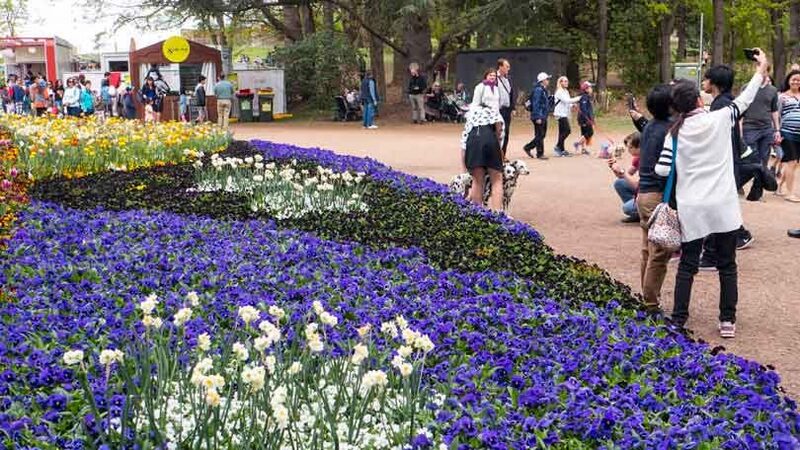 Floriade has the look of a well-staged social event – with the flowerbeds as the major back-drop. If this appeals to you, then you are most likely someone who has attended several times. Then there is the issue of Floriade’s location within Commonwealth Park. I agree with the NCA that it is time for Commonwealth Park to remain free of these major events and to return to being an open-space parkland all year. If Floriade is to continue, then a new location by the lake needs to be identified. The lake makes for a great backdrop to such an event. The location should be re-landscaped/ engineered to have various levels – some higher than others so that attendees could look down easily on many of the specially designed flower beds. 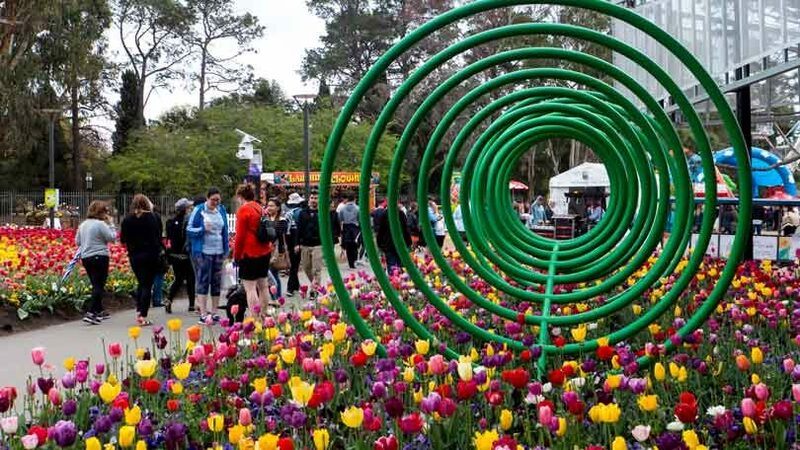 The site should be designed not only for Floriade but also for other major events so that throughout the year there would be a string of happenings to be enjoyed by locals and tourists. Such a park design should be the subject of a competition. 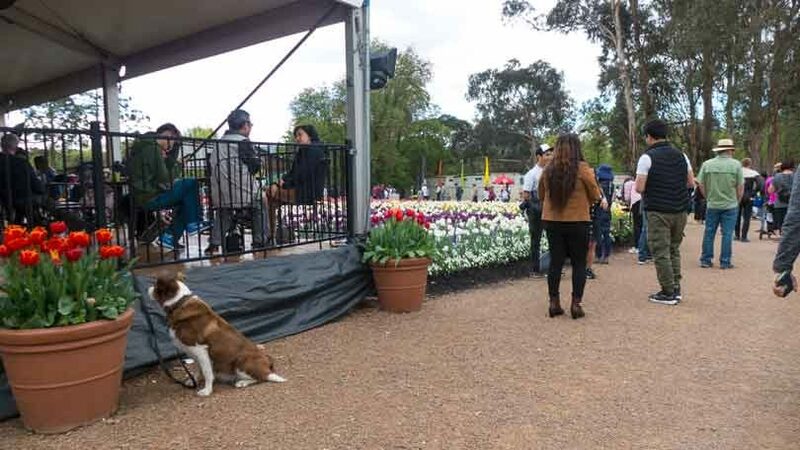 As for the Dog’s Day Out (on-leash) – my comments as above stand – good for the dog owners to show off, but not so good if the aim was to engage people with the well-designed flowerbeds. For me, it will probably be my last visit. Such events do not appeal. Give me a parkland or garden show that is about taking your time, and having the opportunity to take in great landscapes with some well-designed open spaces. That’s not Floriade in its present configuration.